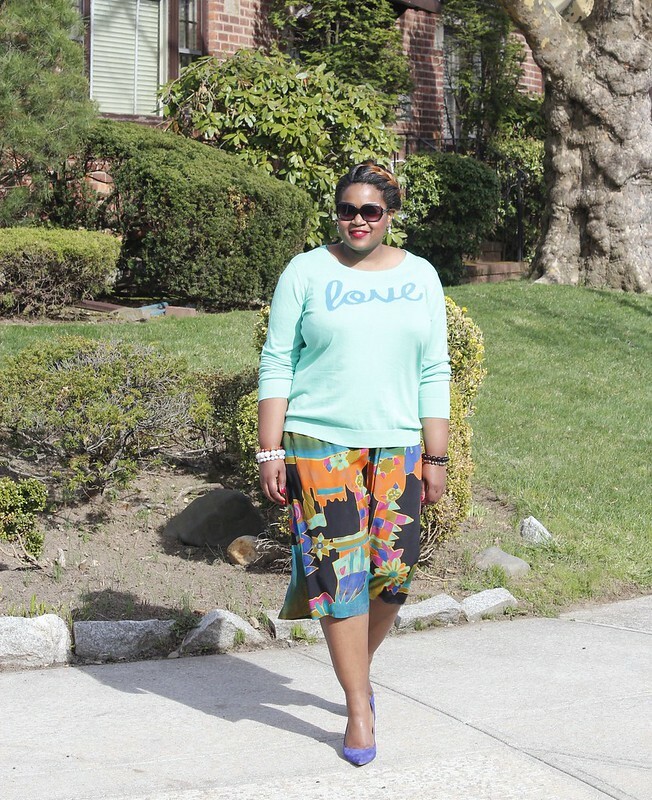 Oh how I just adore a printed culotte pant! OMG this has to be THE easiest attire to wear. It's literally the accessory of an outfit. It is a stand out piece of clothing that can be paired with the easiest of tops and the ensemble is all set! First off I'm a lover of pants and the easy wear of culottes makes life just a little bit easier in the morning when getting dressed. 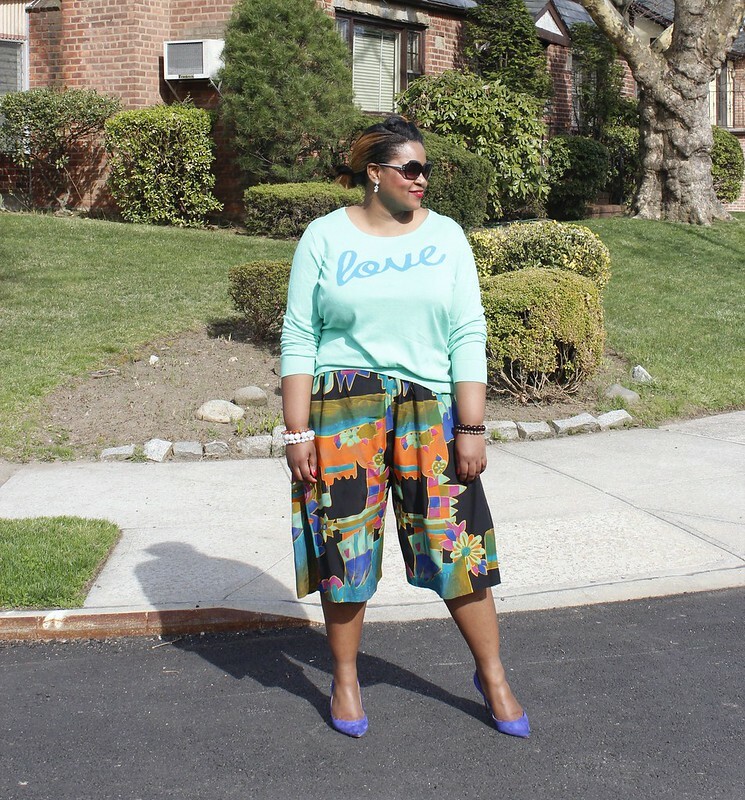 This pant is a favorite of mine in my wardrobe because of the mixture of the print. I'm a sucker for prints and she's a beaut! 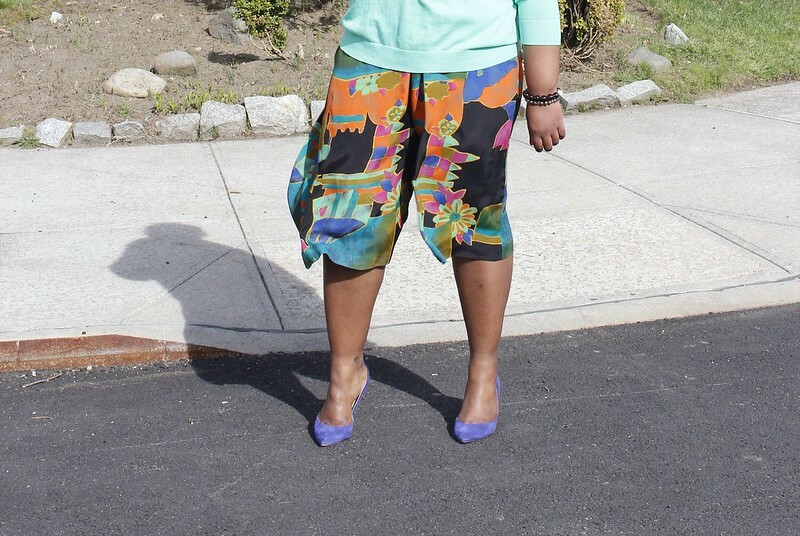 The best thing about printed culottes is that fact that I can pull so many colors from it and have a different outfit from just one pant. It's so versatile. Just look at (and count!) the colors that can be used! 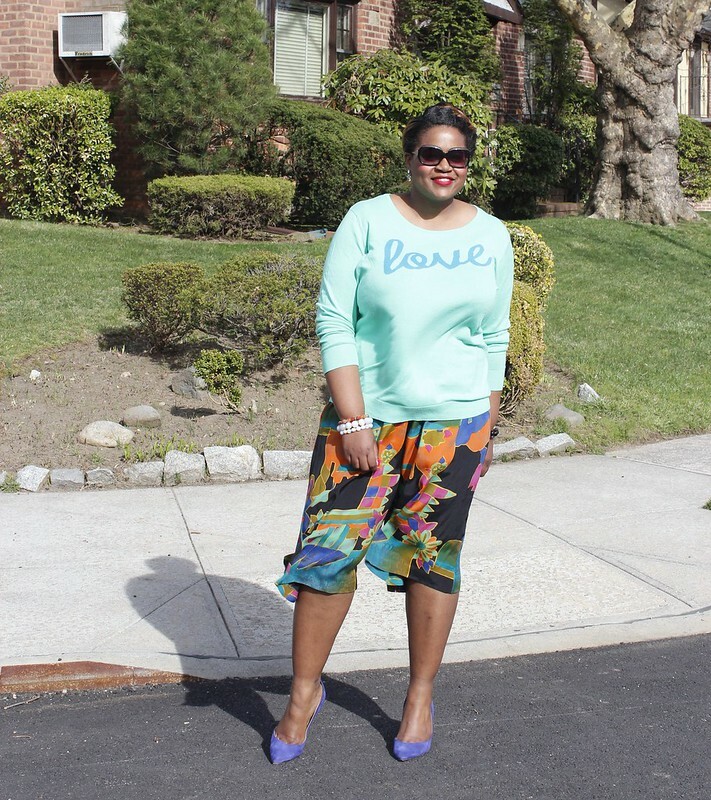 Last time I wore these pants I pulled yellow into the mix, now this time around I opted for a serene pastel green and cobalt blue pumps. I just adore! The pants were a great vintage find (found amazing great printed pants here, here, here, and here. 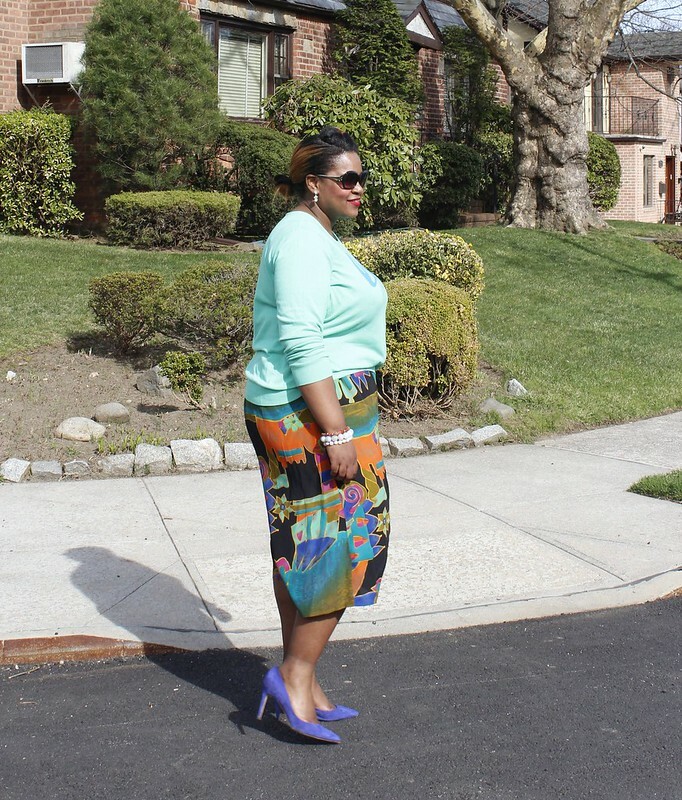 If you love a pop color this is it!) paired with an Old Navy light sweater (similar here and stunning color here) and Jcrew blue pumps (similar). 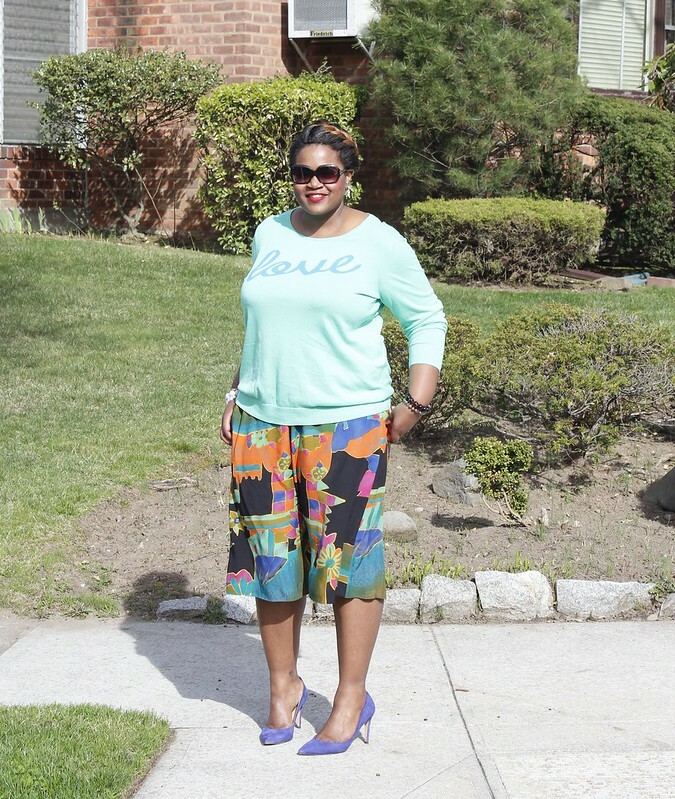 If anything you own this spring and summer season it must be a culotte pant! :-) It's too easy not to wear!